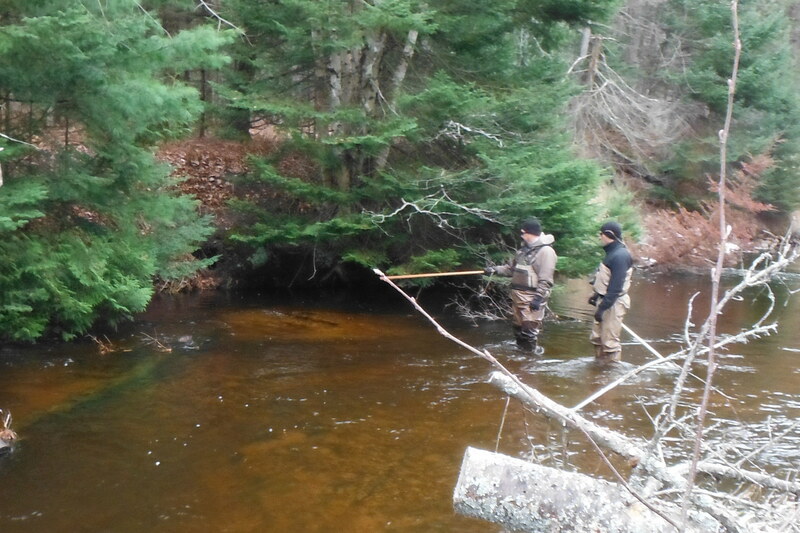 For the past couple of years the MVWTU Chapter has been monitoring and mapping brown trout spawning habitat. 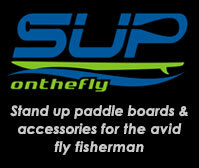 It wasn’t until this past fall that a few questions were raised by fellow anglers that I deemed worthy of attention. Let me divulge with a little history first. Of course we have all heard the most quotable angler of the river, you know the one, he has trekked every square inch of the watershed for more than four decades, caught trout on every occasion that were as big as your leg, and can tell you he recalls back when there were only two farm houses, little development and no golf course on this entire river. There are pictures to prove it. I have seen the documentaion. 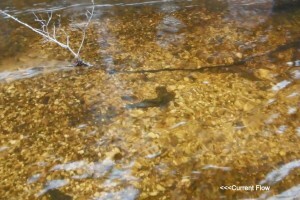 Brown trout two by fours common in many bends on the river, stringers of brook trout well over the 18 inch mark, and the fishing seemed to be good for many for quite some time. But like all things in the eighties, these times have faded along with my Duran Duran swoopy bangs. This beckons the question- Where did they all go? 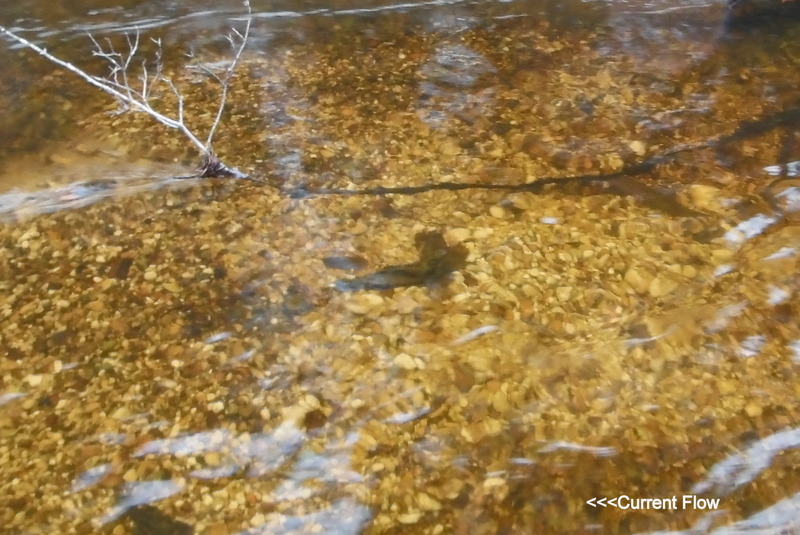 We are ever mindful of the spawning habitat, it is, after all, what we are looking for, our eyes are peeled for the shiny pebble sized gravel along side a sweeper or tucked away from a main current on the edge of an old wing dam. 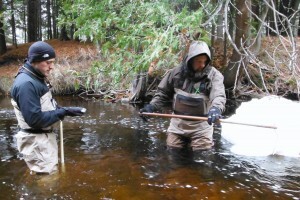 We can’t simply dump more fish in the river system that it apparently doesn’t seem to currently support, those methods are not only antiquated but also not beneficial to the reproducing population when the planters deplete the ecosystem of nutrients much in way a bus load of U of M Football players would devour an all-you-can eat pizza buffet. 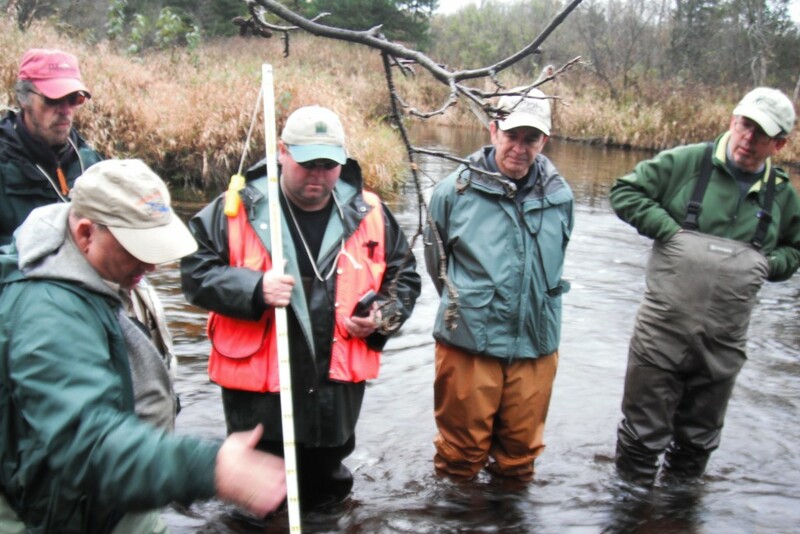 What does this habitat mapping and the GPS tracking do for collection of data on the river? First of all, it is not merely speculation. 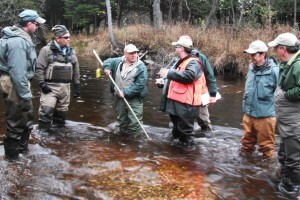 It is written documented statistics, complied by a number of individuals over a couple of weeks in prime spawning season averaged over a five to ten year period. “I can remember exactly where and how many redds are and have been for over thirty years.” one might say. This isn’t empirical data, merely speculation, which can only result in our ‘best guess’ answers from the watershed councils that are involved. We can look at each year, on a couple of different slices of time and overlap them from year to year, seeing the changes happen before your eyes. 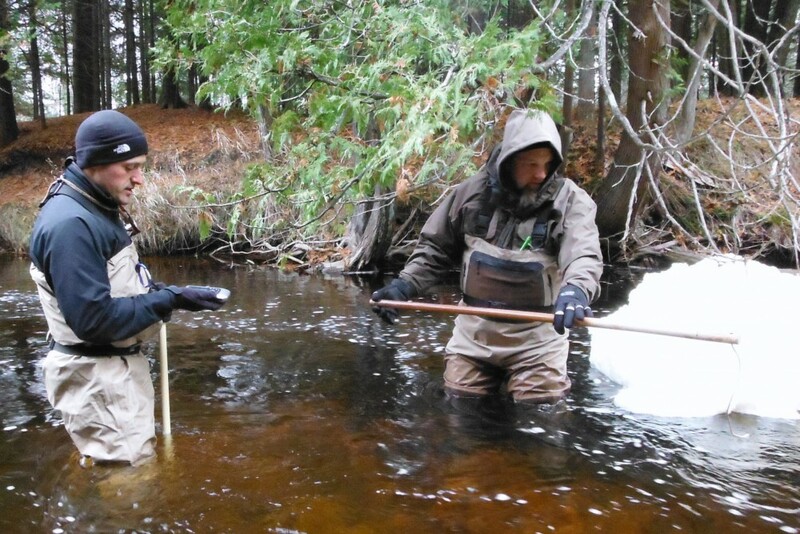 “Keeping track of redds over time allows us to get an idea of the relative abundance of the spawning population from year to year. 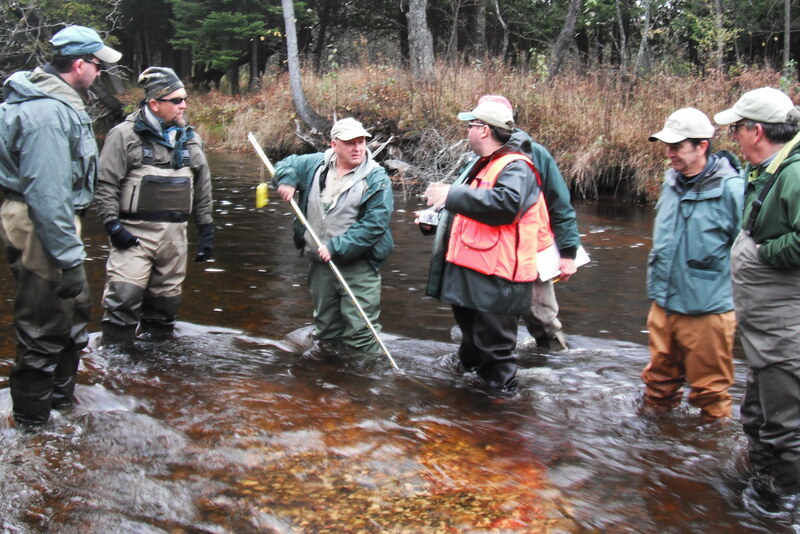 It also allows us to track the percentage of spawning habitat that is being used (in conjunction with the river mapping), and helps us identify habitat needs (e.g., cover adjacent to spawning gravel).” replied Neal Godby when I asked him about the importance of such studies. They have been doing it on many other productive rivers in the state and it is very helpful in developing a strategic plan for the watershed as a whole. You have factual data that shows what is missing from the puzzle and you have the knowledge and manpower to make the improvements. We are working on a better river for the next generation.